You must be a member of the Copenhagen Contemporary Art Group to attend this activity. Would you like to join this group? After the success of Cabaret I thought I'd put together an event for our next show. The show runs from 23rd Jan - 2nd Feb, but I'm hoping to try and get an internations group together for the 24th Jan. Unlike with Cabaret, I wont be in the foyer, because I'm in the cast! Let me know if you are coming though and I will make sure the person on the box office knows how to put everyone together. I will come out and have drinks with people after the show if anyone wants to stick around. Copenhagen Theatre Circle proudly presents its eighth annual traditional British Pantomime! This adaptation of the well-known story of Treasure Island is in the true British pantomime tradition. Not familiar with British pantomime? It’s nothing to do with mimes and it’s anything but silent. It is the reworking of popular stories and fairy tales into a fast-paced comic and musical play that revels in audience participation and is suitable for all ages. 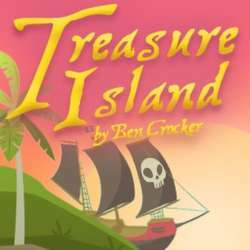 In this adaptation of Treasure Island by Ben Crocker and directed by David Barrett, Long John Silver and his crew of fearsome pirates think that treasure is within their grasp… But they’ve reckoned without the ladies of the Smuggler’s Cove Women’s Institute! Filled with mischief, cake, songs and laughter, this is a voyage into panto mayhem for the entire family that you definitely do not want to miss! Arrrrrr you coming to see the show? Oh, yes you arrrrr! Weeknight performances start at 19:00. Weekend performances start at 13:00 and 18:00. Ticket price Protected content . (80 kr. for children aged 12 years and under). Group discounts are available for groups of 10 or more.